As the Allegheny County Council representative for District 11, Paul Klein is hoping to bring his experience in business, government and higher education, to the task of being both an effective advocate for his district, while maintaining a county wide perspective in fulfilling his responsibilities. Paul is a professor at Duquesne University’s Palumbo/Donahue School of Business where he teaches law and ethics in both the undergraduate and MBA programs. He serves on the university’s Grievance Board and on the Honor’s College Advisory Board. As a faculty member, he was among the business school faculty who developed the school’s service learning requirement for business students. He has served on the school’s Internship and Placement Committee as well as both the Graduate and Undergraduate Curriculum Committees. He was also the faculty advisor to the Society for the Advancement of Management, a student organization for management majors. In 2013, he was the recipient of the Kurt Rethwisch Outstanding Teacher Award in the School of Business. 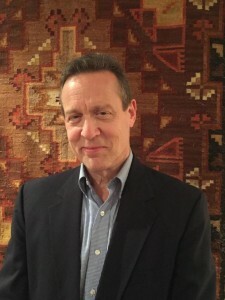 Prior to joining Duquesne University, he was a financial advisor for Paine Webber (UBS) and a compliance representative for the Pittsburgh Commission on Human Relations where he investigated and mediated complaints alleging unfair employment and housing practices. Mr. Klein was a volunteer at the homeless shelter at the East Liberty Presbyterian Church where along with other volunteers from St. Andrew’s Episcopal Church in Highland Park, he prepared and served meals. Along with his wife and children, Mr. Klein was a volunteer for newly settled families from Somalia, who were sponsored by Catholic Charities and provided support by the Pittsburgh Refugee Center. Paul is a committeeman in the City of Pittsburgh’s 14th ward. He has been a moderator for three state wide candidate forums sponsored by the 14th and 7th ward Democratic Committees of Pittsburgh. In 2012, it was the Pennsylvania Attorney General forum, in 2014 the gubernatorial forum and in 2015 the state Supreme Court forum. Paul was born and raised in Pittsburgh and is a graduate of Penn State University. He earned his law degree at the Duquesne University School of Law. Paul and his wife Holly Maurer–Klein, have three children, their son-in law and one grandchild.